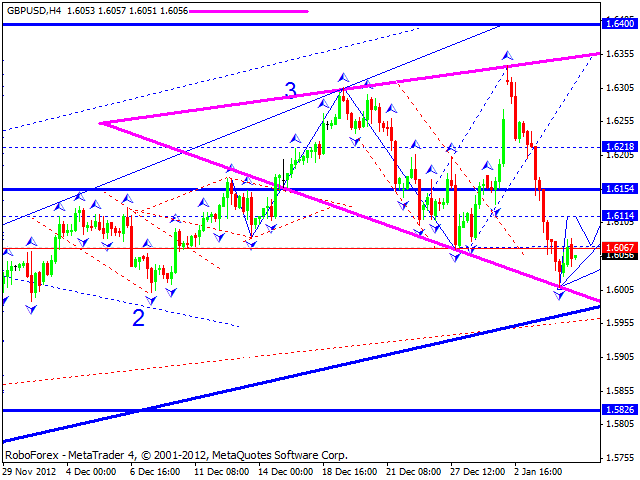 The EUR/USD currency pair completed a correction in the form of a three-wave descending structure. 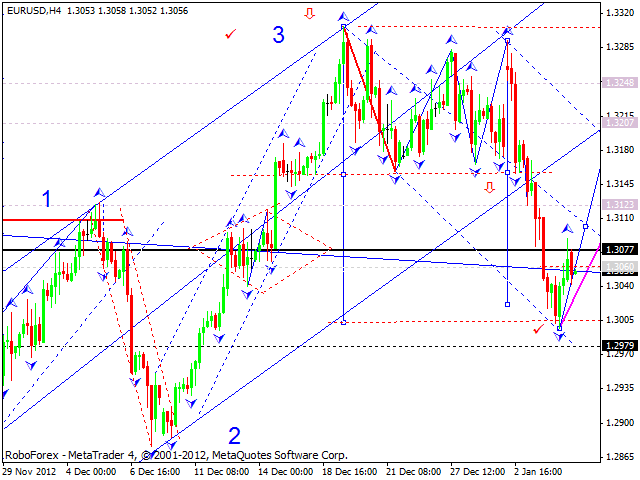 At the moment the price is forming a new ascending wave with the target at 1.3120. After reaching the target, the pair may start a new correction and then continue growing up towards the level of 1.3200. 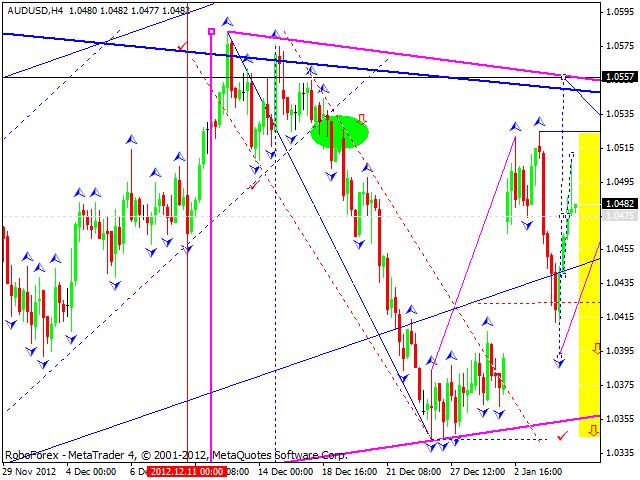 The GBP/USD currency pair finished another descending structure and may start a new ascending movement. Today I expect the price to reach the level of 1.6115, start a correction towards the level of 1.6060, and then continue growing up to reach the target at 1.6200. The USD/CHF currency pair completed a correction in the form of a three-wave structure towards the previous descending wave. 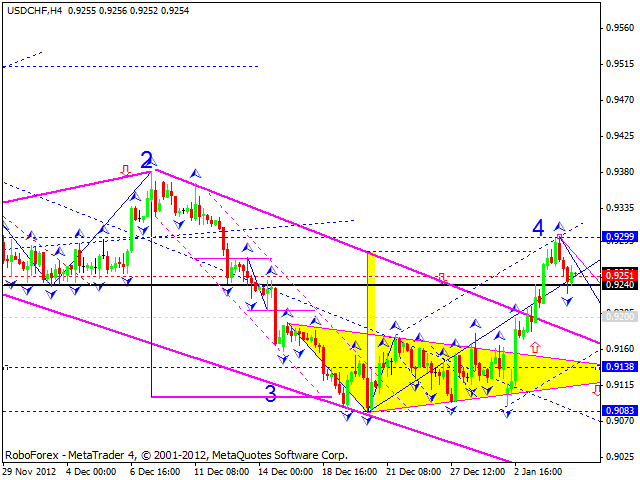 Today I expect the price to start a new descending wave, the first target of which is at the level of 0.9200. Later, in my opinion, the pair may start a correction towards the level of 0.9250 and then continue falling down to reach the target at 0.9140. 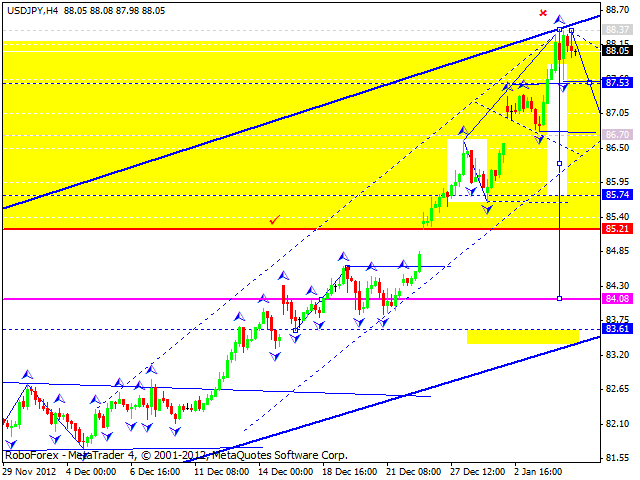 The USD/JPY currency pair is expanding the fifth wave. I expect the price to form a reversal pattern and start falling down towards the level of 84. Today, in my opinion, the pair may form the first descending structure with the target at 86.70 and then start a correction towards the level of 87.50.After that the price may break the channel’s lower border and continue moving downwards. Australian Dollar continues forming another ascending wave. 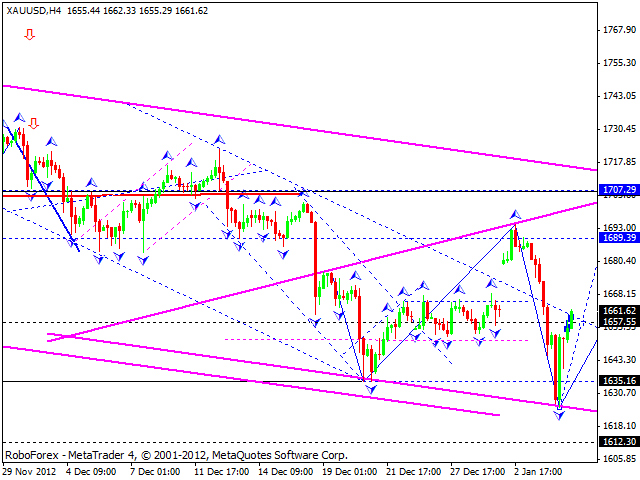 Today the market is expected to reach the target at 1.0550. After that the price may form a consolidation channel, which will help the market define its future direction. Gold reach new minimums and then started a new ascending structure. Today the instrument is expected to reach the level of 1690, return to the level of 1660, and then continue growing up towards the target at 1707.